At All About Pump Repairs, we service between the following regions as illustrated below. 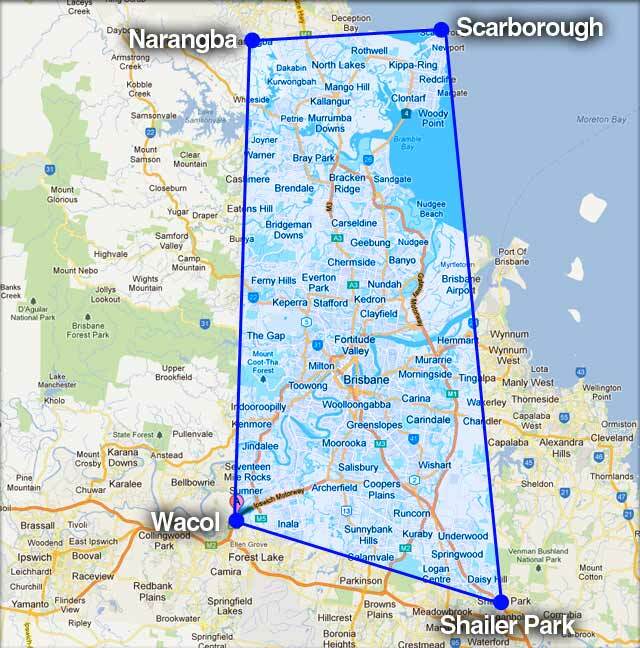 The area between the following; Narangba, Scarborough, Shailer Park to Wacol. We repair pumps in all pump categories. Included in the below information are the range of pumps we are able to repair. For all New Installations, a quote will be required. Contact us for more details. We offer a wide range of pumps for purchase at All About Pump Repairs. Well known and respected brands such as, DAB Water Technology, Bianco Pumpz, Rainsaiver and Claytech. We can provide other brands of Pumps also, for more information please Contact Us, one of our friendly experienced staff will be happy to assist you or enjoy browsing our Online Shop and find the pump you are looking for. AAPR also offer a wide variety of Spare Parts and Accessories for your pump requirements. Products such as Rainsaver, Pressure Switches, Pressure Tanks, Pump Cover’s, Washable Filter’s, Floats and more. For more information please Contact Us and one of our friendly experienced staff will be happy to assist you or please enjoy browsing our Online Shop to find the pump Spare Parts / Accessories you are looking for. NOVAIR is a self-contained sewage treatment system. Designed specifically for domestic AWTS the NOVAIR mixes and treats sewage by oxygenation, simultaneously, quietly and economically. Unlike conventional treatment systems the NOVAIR operates totally submerged therefore eliminating motor noise and the need for air tubes, diffusers and unsightly air pump boxes in customers front lawns. With two models in the range, starting from 0.18kw NOVAIR is one the most cost effective and efficient treatment systems on the market. Bianco Rainsaver is a water tank changeover device that switches between your rain water tank and town mains supply. Unlike other changeover devices currently on the market, the Bianco Rainsaver does not mix rainwater & mains water this – is referred to within the industry as “Shandying”.